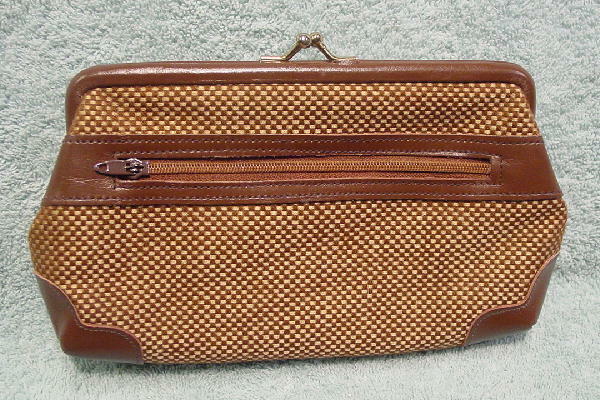 This woven brown and pale cocoa thread design purse is a Snappers by Buxton. It has brown leather bottom corners, top rims, and back zipper edging. There is a gold-tone bypass closure. The back has a lined zipper pocket. The lining is in a peachy-cocoa with Buxton all over it. 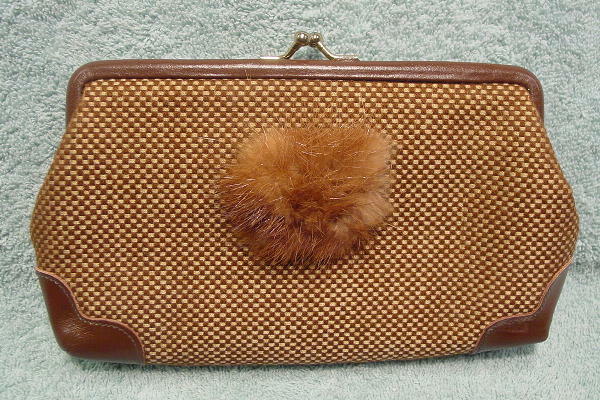 Eden added a tuft of brown mink to the front.